I tasted a spoonful before bottling and it tastes very much like a mix between traditional mincemeat and apple pie mixture. Very tasty! Blackberry Mincemeat for Christmas Mince pies. 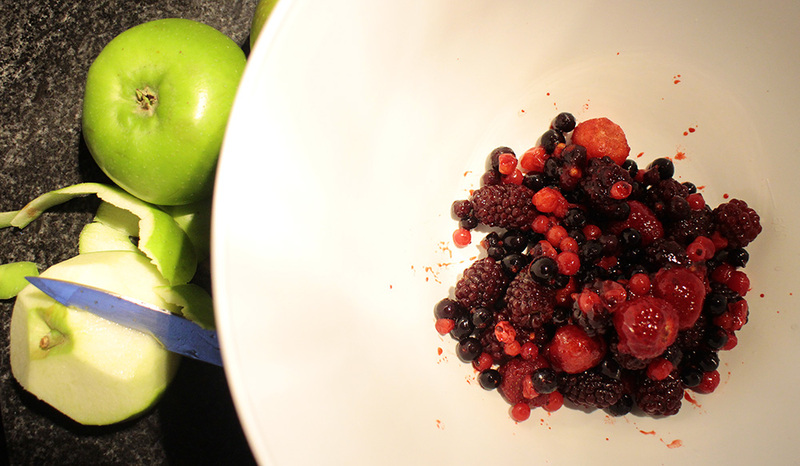 1 lb blackberries (or mixed berries). Use fresh, frozen or bottled. Chop up apples and place in saucepan with a spoonful of water and soft brown sugar and simmer until apple is soft and getting pulpy. 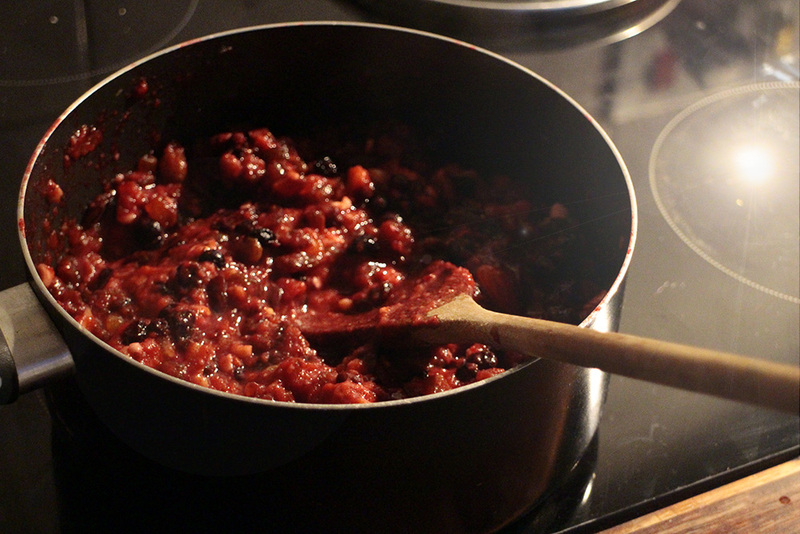 Add berries, spice and almond essence and simmer on low for another 15 minutes stirring now and again. Switch off heat. Spoon into clean, sterilized jam jars and once filled drizzle the top with a little warm honey or golden syrup to seal before adding lid. Store in the fridge or somewhere cool until needed when you make your mince pies at Christmas! Should keep for 3 – 6 months in the fridge! 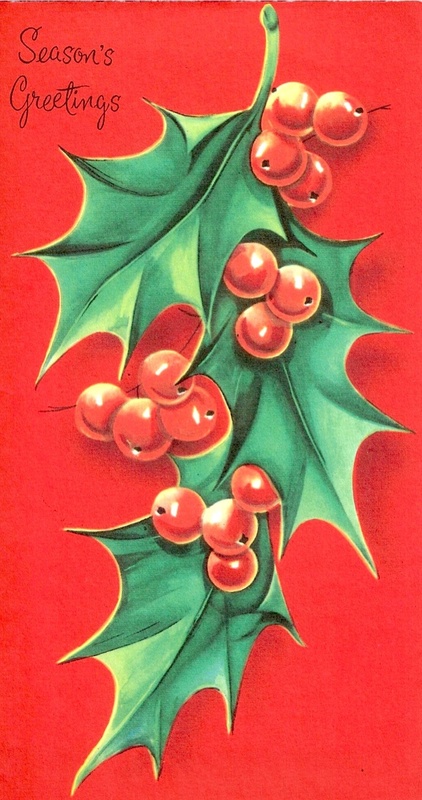 This entry was posted in christmas, recipes and tagged blackberry mincemeat, christmas recipes, mincemeat, ww2 recipes. Bookmark the permalink. ← Armistice Day – 2 minutes silence at work. Looks delicious…and I have loads of foraged blackberries in the freezer! Thanks again for what sounds like another delicious recipe. I have blueberries, blackberries and raspberries frozen from the garden so this will be a real treat. 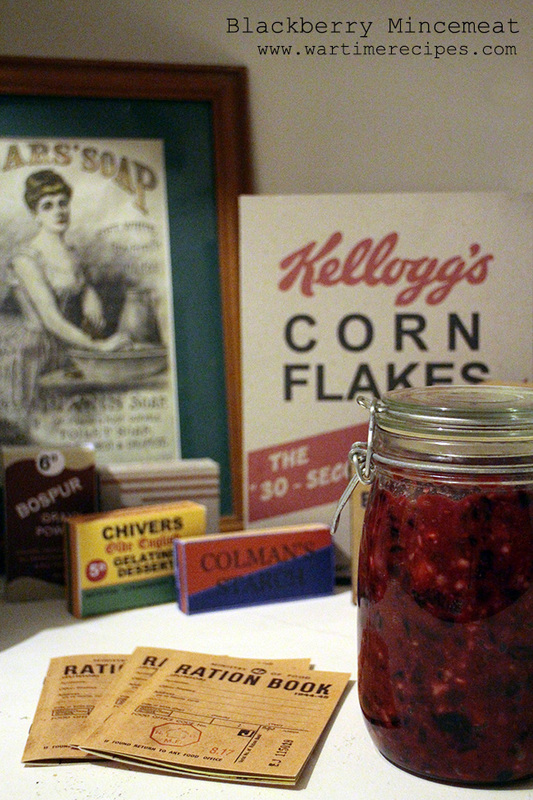 I bottled lots of blackberries this year as well as enough jam to sink a battleship. I think I’ll have a go at the mincemeat too. Sounds luscious. I’ll add a spoonful of jam to it and use less sugar. Do you think bottled blackberries will work well of might they be too wet? Sounds delicious, I’ll have to give it a try. Thinking outside the box, I made green tomato mincemeat last year when I had a glut of toms that didn’t ripen. 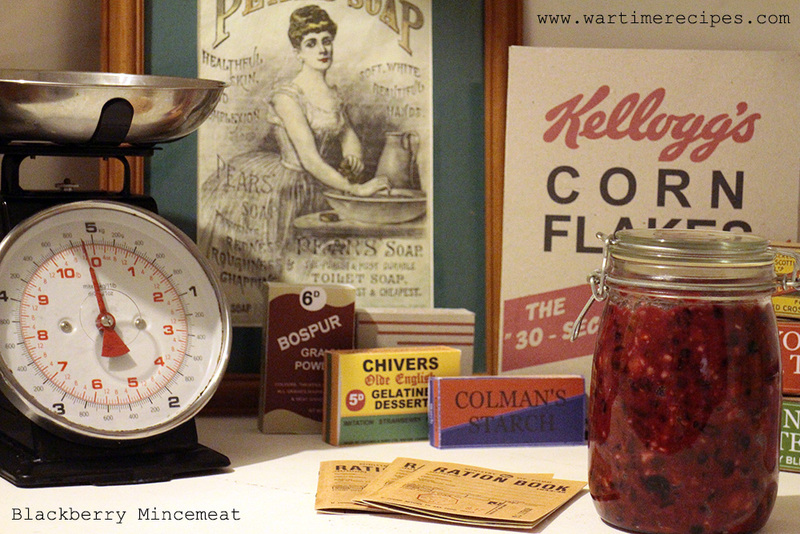 Still have some left, and you’d hardly know it was any different from regular mincemeat. Is that a typo? Re mixed dried fruit, should it say 200gram = half a pound?